Bill English, an Elder in Clincarthill Church recently visited Glasgow Reform Synagogue. This is what he said. 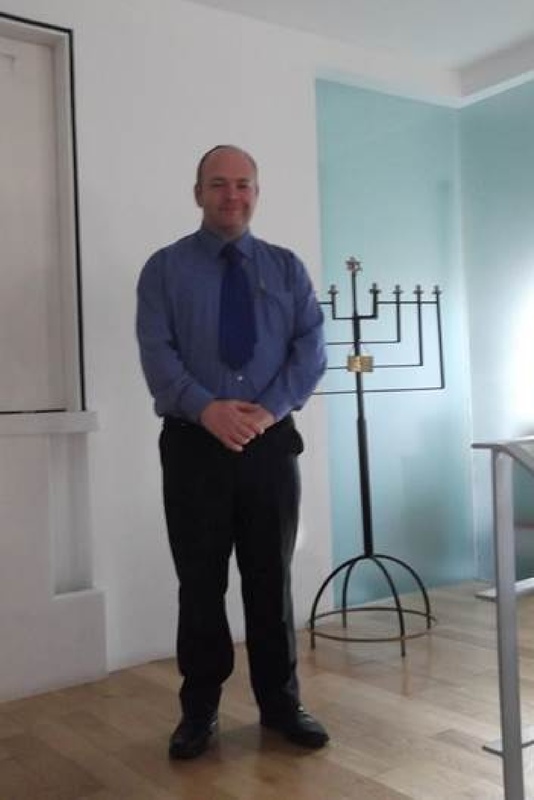 “My first visit of 2014 was to the Glasgow Reform Synagogue in Newton Mearns. I was welcomed on entering and introduced to (Wardens) Howard and Fiona Brodie , both of whom would be leading worship. One of the obvious differences between a Reform and Orthodox Synagogue is that women are able to take a far greater role in leading services, as well as men and women sitting together in the congregation. The service itself was conducted in both Hebrew and English (so I was able to follow it ), after morning blessings (much like our prayers of intersession), the service covered many issues familiar to ourselves, we were asked to consider `our image of God`, we were reminded of the challenges faced by Aaron and his response to the demands of the people as they awaited the return of Moses. Fiona spoke about the progress that still needs to be made in Israel to fully accept Reform Judaism, particularly in light of recent comments made in the Israeli parliament ( Knesset ). I was encouraged by the desire for peace being expressed, not just within Judaism but with other faiths. Speaking to both Howard and Fiona afterward , they informed me that Fiona had recently met with Moderator Lorna Hood as they collectively try to address some of the difficulties that have arisen recently between the Church of Scotland and the Jewish community in Scotland. After the service (which lasted about an hour and a half), I enjoyed refreshments/buffet and chatted with some of the congregation. This entry was posted in Uncategorized on 12 March 2014 by admin.